I'm very excited to announce the preorder of my space travel calendar, published by Universe Publishing, a division of Rizzoli International Publications, Inc., in New York. It's up on Amazon now. The official release date is August 1, 2012. 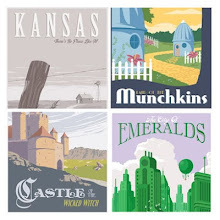 "Combining the cheery optimism of mid-century travel posters and kitschy-cool sci-fi details, these vivid, imaginative travel posters could hang as easily at the 2525 World's Fair as on the set of Mad Men. 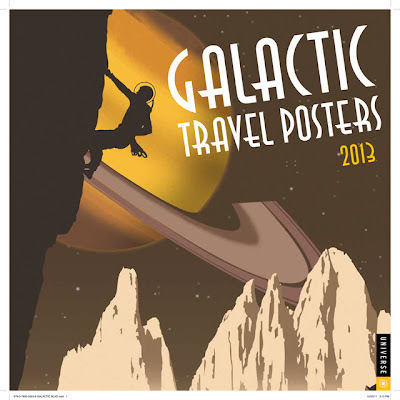 Full of eye-catching graphic design, space-age colors, and sophisticated wit, the Galactic Travel Posters 2013 Wall Calendar adds instant cool to any space and will inspire any hip retronaut, geeky adventurer, or armchair astronaut. * 2013 promises to be a year of exciting and glamorous excursions around the Milky Way, including a zip-line ride through the Asteroid Belt, Mars's spectacular canyons, the heart-stopping Mercury Grand Prix, deep-sea vessels plumbing Neptune's fantastical depths, and hitting the slopes on frozen Pluto." Thanks for looking. I just pre-ordered this on Amazon UK. Now I can't wait till 2013! Outstanding Steve ... I can't wait to have this magnificent collection on my wall!